Trees could revolutionize our way of living, if we returned to living in and around them more. Conventional architecture is terrible at doing so, and is designed in opposition to trees, because vegetation touching dead building materials tend to make them rot. It is possible to live with an awareness of various levels of growth and decay, but it would require a culture more integrated with the natural environment. Imagine devices that used living energy from photosynthesis. Design Science should explore the relationship of natural-artificial hybrids, methodologies of integrating plant matter into building fabric, issues of maintenance and sustainability, and ecological biological and organic architectural materials for environmental design. Very interesting. This truly piques the engineer in me’s interest.. I’m with the idea 100% of the flywheel approach and it running around $100.. the kicker would be the battery bank and the inverter..
You could get some cost savings using an old bike as a donor for parts, and the larger the flywheel the better off you could be. (once it gets going momentum would help you continue the spin) Throw a decent transmission (from donor bike) in there and you can keep the speed controlled and wouldn’t need a voltage regulator. Now tied to an existing offgrid setup.. like a Tesla Battery (Powerwall i believe they are calling it?) with a good diode.. That could be a great boon! Bottom line? Do-able and valid, REALLY cool too! but unless you’re super efficient with your use of energy, have batteries and an invertor on hand or for cheap… not necessarily cost effective VS grid. I was a bit surprised and irritated when I found out that Tesla motors, an upcoming electric car company, wasn’t allowed to have a dealership in Virginia. They still have a gallery in Tysons Corner, VA, but can’t directly sell cars from the location. Fortunately, there are other dealerships in the relatively close locations of Philadelphia, Pennsylvania, and Raleigh, North Carolina. However, this serves as an example of how our current system works in a way that perpetuates itself, and makes it difficult to integrate new ways of doing things. It’s another illustration of the way that our system is not yet set up to really handle sustainability. Tesla is a relatively new manufacturer, and they sell their cars directly to consumers, with no middle-people doing the transactions. In Virginia, as in some other states, laws are in place that make manufacturers work through a franchised dealership to sell their cars to the public. There are loopholes, in case there are no dealerships available (as in the case of Tesla.) 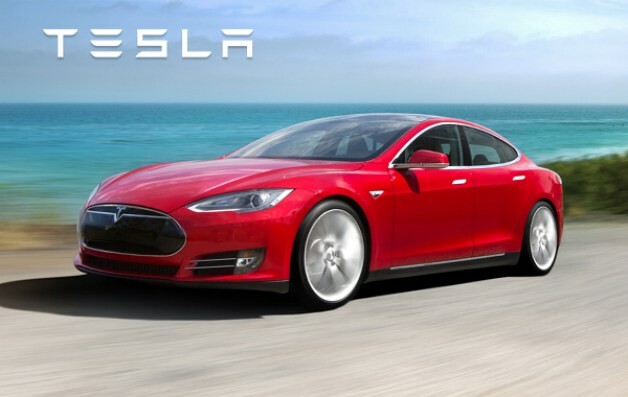 Despite this, the Virginia state Department of Motor Vehicles commissioner, Richard D. Holcomb, ruled that there is no evidence that there is no dealership Tesla can sell through. And so they can’t sell cars in Virginia at all. Perhaps, though, this has more to do with tax dollars than dealerships. As in the case of other states considering adopting legislation to tax electric cars more than fossil-fuel cars, keeping a Tesla dealership out of Virginia could be a way of trying to keep some number of electric cars out of the state, thereby guaranteeing more tax revenue through gas purchases by the public. With this in mind, if the State does generate a good bit of money from gas sales, losing that could be intimidating to them. In my mind, that might make a state want to increase the gas tax, to maintain revenue as the (polluting) fuel becomes less available and push for the public to purchase electric vehicles or use other means of transportation. At the moment, though, it seems that we have built a system around gasoline-powered vehicles. And we do still need to fund roads, of course. The ideology behind the free market’s supposed ability to fix social and environmental problems is a big consideration, as it has become very ingrained in our thinking and structure. In a lighter sense, Tesla’s being denied access to public car sales in Virginia could be seen as just one hiccup in a much wider change that is happening. Despite this one dealership denial, Teslas can still be seen driving around the DC area, proving that they’re still somehow available to that public. And so, maybe the car maker’s dealership denial can be seen as both an illustration of the way our current system works to keep change out, but also an illustration of how change will find a way.